One of the Aeroscaler's says that you can't have too many Spifires. Other says something similar: you can't have too many Black Widows. I bet there are some other readers in the neighborhood who will say that you can't have too many Mustangs. 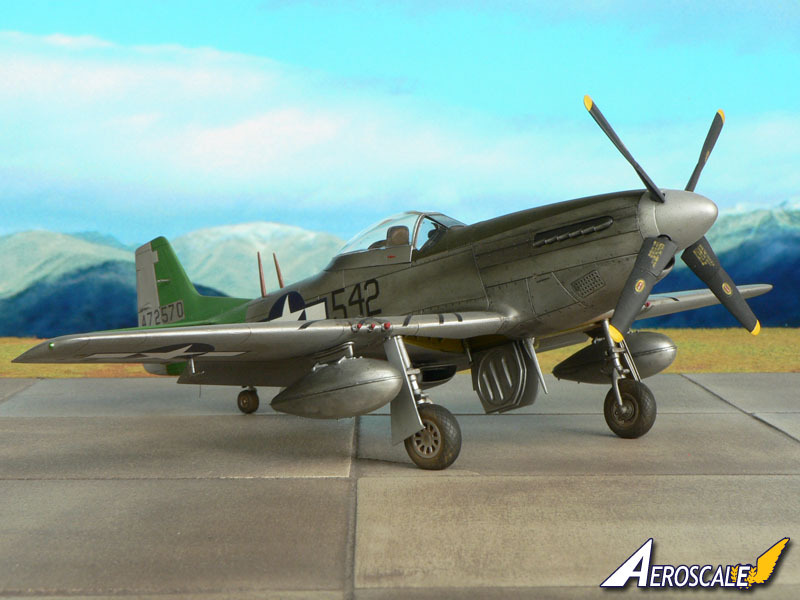 For that last group of modelers Kagero, a well known publisher from Poland, have prepared their initial sets of new product line: the decals of Pacific Mustangs. 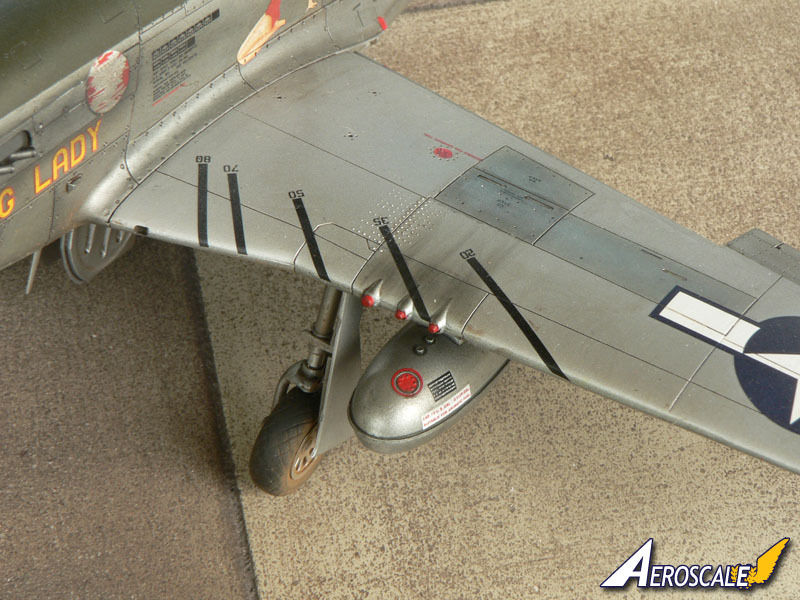 Kagero have released these decals in three most popular scales: 1/32, 1/48 and 1/72. Review below treats all of these sets as the only difference is the size of the decal sheet. 3. F-6D-10-NA s/n 44-14841, flown by Capt. William A. Shomo of 82nd TRS / 71st TRG, Mindoro, 12 January 1945. 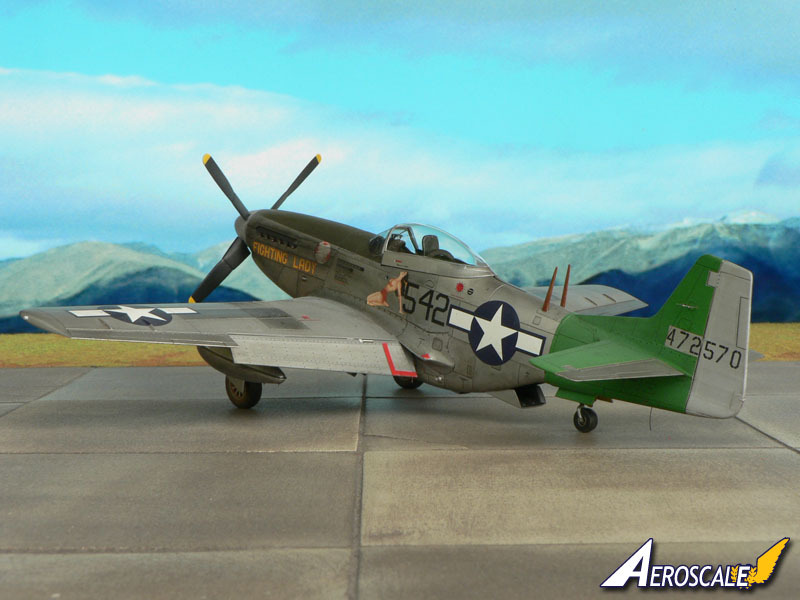 The number of decals provided in the sets allows us to make all three models using just one decals set. In 1:72 scale the decal sheet have the size of 17,5x10,5cm, in 1:48 18x16cm and in 1:32 18,5x26cm. The quality of decals is very nice. The pictures reproduced on decals are simply amazing. The pin-ups have reproduced different soft shades of colours, great details (like painted nails! - difficult to see in 1:72 but there is no problem in larger scales). I do not see any misalignment in print. With some effort to the eyes you can read the smallest stencils in 1:72 scale, that's impressive I think. The only thing which I'm a bit afraid is the thickness of the paint layers on the individual nose-art names of the planes: the “Fighting lady” and “The Enchantress”. It is the first time when I see it on the Cartograf decals. I hope this disadvantage occurred only on my review sample as other people who I asked about their sets do not see any problem. However Kagero advices to use SET and SOL agents so I hope that after use of these the problem will disappear after application on the model. I would not worry about that. Ok, let's take a look at the instruction, or I should say rather the guidebook. It consists of 8 pages, all printed in full colour on the nice and soft pages. The guidebook is the same for each set, doesn't matter for what scale is is dedicated. The colour profiles of the replicated machines and the picture on the first page were drawn by the well known illustrator Janusz Światłoń. Each plane is replicated as the centerfold on two pages with two enlarged profiles of the plane, a bit smaller upper and lower surfaces and enlarged pin-ups or individual stencils. 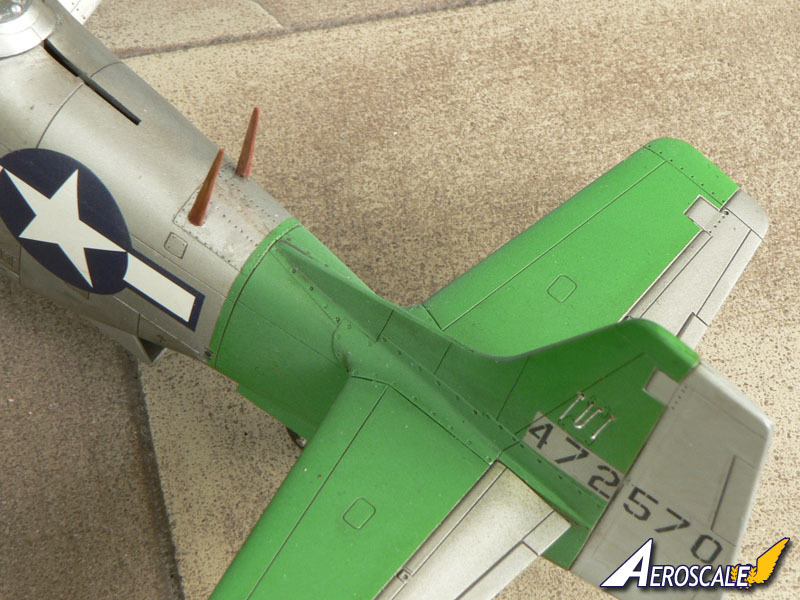 For the F-6D-10 you will also find two photos of the original plane. There are also very short notices about the pilots and descriptions of the planes. It is advised to read it as these descriptions are quite helpful in understanding the subject, for example existence or nonexistence of the diving marks on the wings on the first scheme. Here's a point for Kagero for giving the final decision to the modeler. 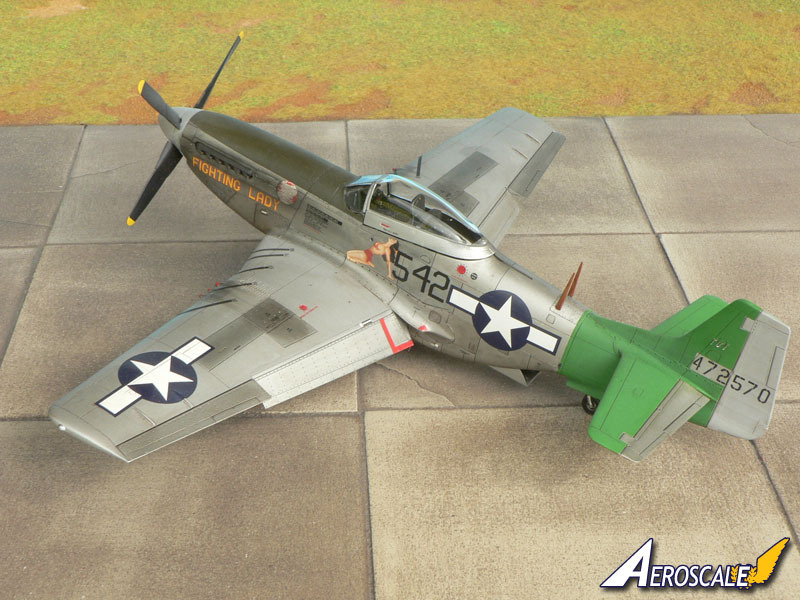 It is not known, according to the description, as these stripes were or were not present on this plane, publisher has given two sets of these stripes on the decal. It is just up to the modeler whether he will use them or not. Instruction however may be a bit misleading here as you can see the numbers of the stripes decals to be placed on the upper wings surfaces while you can't see any stripes on the drawing in these place. When you read the description the intention of the author of this drawing becomes clear. We can also find the photo sources for the first two planes from Iwo Jima but there is none such information for the F-6D. On the last page we can once again find port side profiles of each plane and a four step instruction of the decal application with the photographic illustration. Producer advices to use the SET and SOL agents during application. I think it is time to sum up the review. The first Kagero decals sets are certainly one of the best worked out decals I have seen. Beautiful, large and detailed drawings, useful descriptions of the particular planes in very nice edition of the instruction (in the form of booklet). After using of the decals you can still keep it as a reference in your library. Decals itself are also great but with the scratch of the thickness of the paint layers. However I do not expect any problems in their application and hiding the excess in decals print. Prices for the sets are as follows. 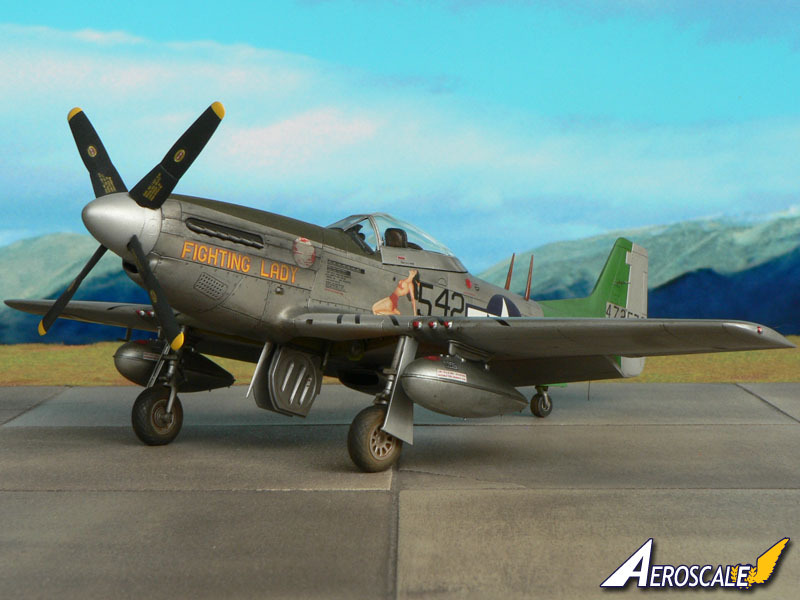 See below for images of the decals on Tamiya's 1:48 Mustang, as built by Jean-Luc Formery. 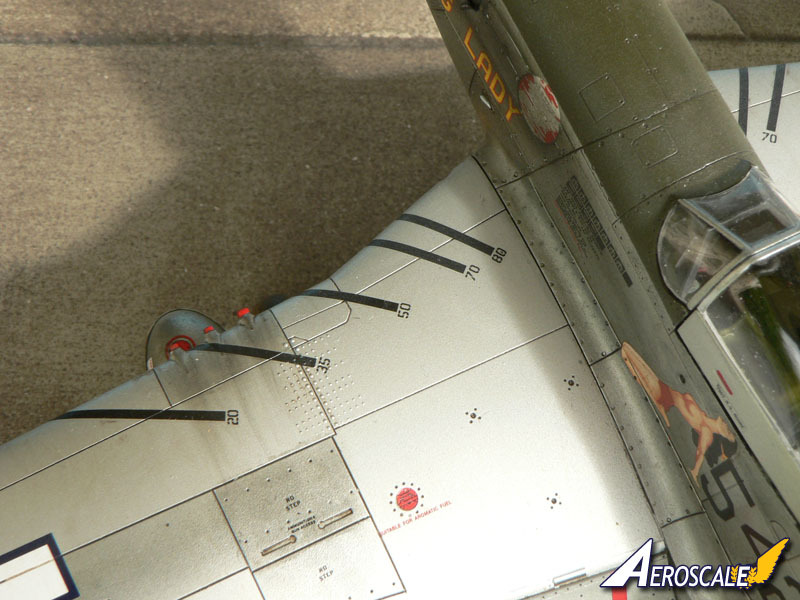 Highs: Great decals, detailed drawings and information on the planes. Verdict: I am for the big YES for these decals. 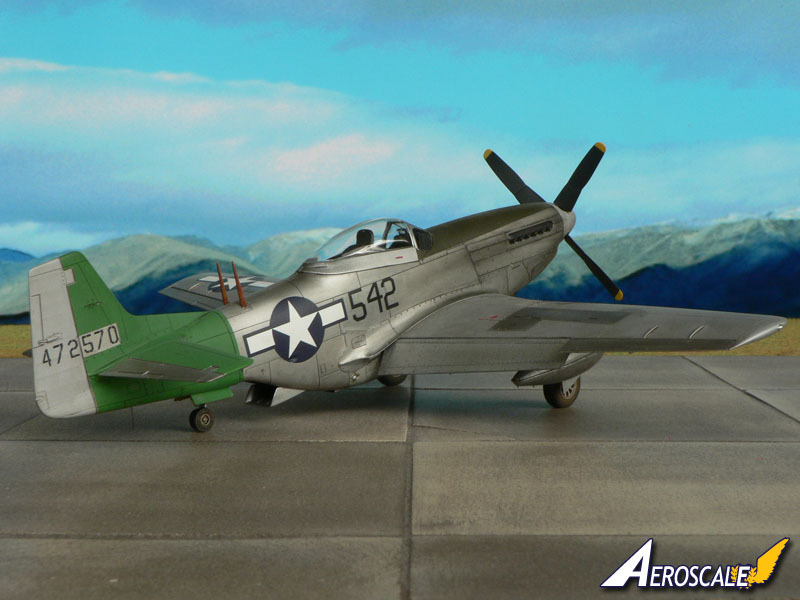 Hi all, Here are pictures of a P-51 Mustang model from Tamiya in 1:48 scale with the Kagero decals of the review. I have used the "Fighting Lady" ones because I have already seen so many from "The Enchantress" that I felt it would be nice to see something different (though I confess I also like "Enchanteress" more). The quality of the decals are really excellent and they performed flawlessly. A big thank you to Michal for having sent me the decals! Jean-Luc P.S. Is it possible for a staff member to add the pictures to the review?